By default, your iPhone and iPad will never auto-trash any of the text messages, snapshots and video clips sitting in the Messages app. Now, that’s great if you want a record of every text message you ever sent or received from your friends and loved ones. But all those messages add up in terms of your precious iPhone and iPad storage—particularly when it comes to memory-hogging pictures and videos. 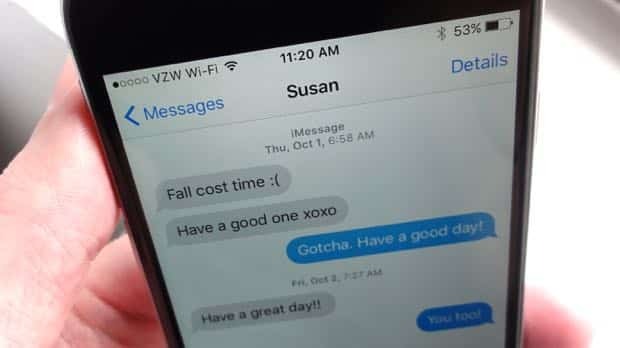 Don’t worry—iOS will warn you before deleting all those old text messages for good. If you’d rather delete old text messages and let iOS handle your massive iMessage histories, here’s an easy setting to try. Tap Settings, Messages, scroll down and tap the Keep Messages setting, then pick an option: 30 days, a year, or forever. 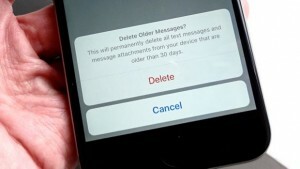 Next, you’ll see a pop-up warning that your’e about to delete old text messages—including any photos or videos. If you haven’t already, now would be a good time to see if there’s anything you’d like to save. All set? Then go ahead and tap Delete to do some serious iMessage spring cleaning. To check all the photos, videos and other attachments in a Messages conversation without having to scroll through the entire thread, just open the conversation, tap Details, and scroll down to the Attachments section. If you see anything you’d like to keep, tap it, tap again to reveal the Action button (the square one with the arrow), then pick an option (such as Save Image).